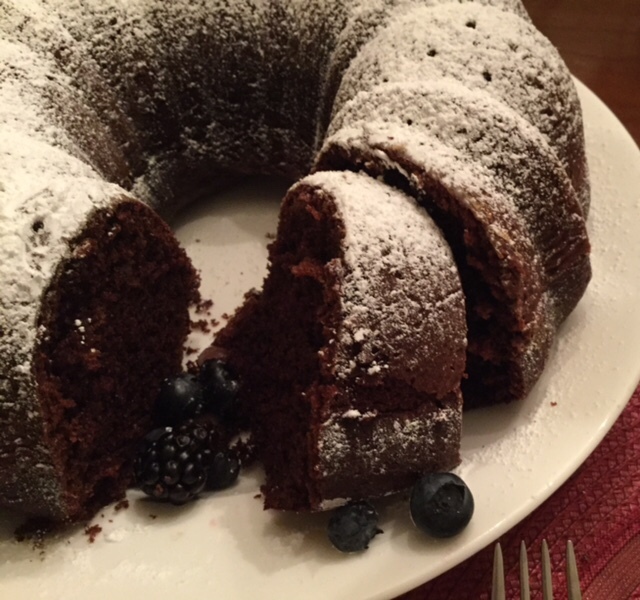 bundt cake | I Am Not A Restaurant! When you don't have butter, make this cake. Thank you @Hersheys.com for keeping this classic for us. Hot water and veg oil make for a super moist cake. I sacrificed snow day cocoa for this confection and it was worth it. The online version calls for frosting. My number 1 son doesn't care for it, nor did I have much of the aforementioned butter. You can find the recipe here. I added the fruit just for the photo.